Every parent wants to see their kids’ creativity shine at home and in school. HP can help bring out a child’s imagination and curiosity and put it in paper with DeskJet Ink Advantage printers that produce vibrant and quality printouts. Now, families can explore and celebrate creativity further as every purchase of HP DeskJet Ink Advantage 5075, 5275, 2135, 3635, 2676, 2677, 3775, 3776, 3777, 3779, 3835, 4535, 4675 All-in-One printers or DeskJet Ink Advantage 1115 printer comes bundled with a free ream of HP Everyday Paper. Aside from its reliable print, scan, and copy functions, the HP Ink Advantage printers can be accessed wirelessly from virtually any mobile device or tablet using the HP Smart App, making it more convenient for parents and kids to foster and celebrate creativity. So, what are you waiting for? 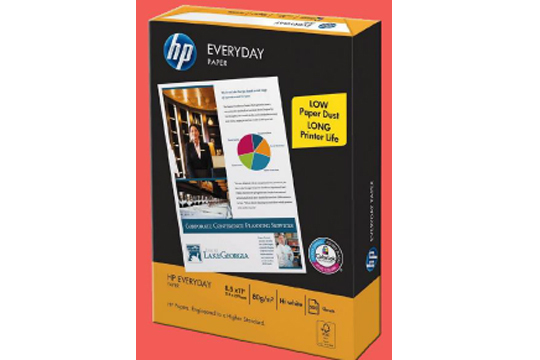 Buy any of the participating HP DeskJet Ink Advantage printers at authorized HP resellers nationwide to get your free 500 sheets of letter-size HP Everyday Paper! Promo period is until April 30, 2019 only. See posters and print ads for more details. Per DTI-FTEB permit no. 3143, series of 2019.